Modern Decore Carpet One has been providing expert flooring advice and exemplary customer service for over 50 years. Locally owned and operated, our team of knowledgeable experts, design-savvy flooring consultants and passionate craftsmen tackle the most demanding flooring projects and unique decors. 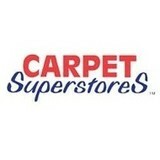 Carpet Superstores' work directly with leading flooring manufacturers from around the world. Because of our group buying power, our store offers a variety of innovative flooring such as vinyl plank, luxury vinyl tile, carpet, and linoleum. We carry & install a vast selection of in stock flooring products suitable for both residential and commercial projects. Our experienced staff will come to take onsite measurements and confirm your square footage and the layout of the room you are putting the floor into. After you have come in to our warehouse, and selected your flooring, one of our installation crews can install it for you, or you can do it yourself! Carpet dealers in Grande Prairie, AB help homeowners choose the correct carpet covering for their floors, and also assist with carpet maintenance. This includes determining factors like material, carpet pile, durability, color and size, as well as helping with any custom carpet design. After completing the initial installation (which includes removal of the old flooring, if applicable, and surface prep), they may also handle follow-up maintenance requests such as carpet cleaning, carpet repair and carpet stretching. 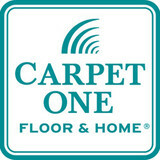 Find a carpet dealer on Houzz. Narrow your search in the Professionals section of the website to carpet dealers in Grande Prairie, AB, and read reviews and ratings for pros in your area.